I remember looking at them as I continued in my discourse as they became increasingly disengaged, desperately racking their brains, it seemed, to determine the location of Burundi. It was then that I realized that in the midst of me trying to maintain a non-perverse image, I had accidentally insulted the intelligence of my two could-be coworkers. In short, I bombed the interview. So, where exactly is Burundi? Surrounded by Tanzania and the Democratic Republic of the Congo, this tiny landlocked nation is one of the five poorest countries in the world with an estimated $251.01 GDP per capita in 2012. In the heart of East Africa, the country often gets overpowered in the news by its (smaller) neighbor to the north, Rwanda. In fact, it is nearly impossible to discuss Burundi without incorporating the country of Rwanda as an integral part of the discussion. We all know the struggles of Rwanda: how the Hutu-controlled government (which gained power shortly after independence) conducted pogroms and acts of genocide against the Tutsis for decades before genocide broke out in 1994, which left an estimated 800,000 to 1 million Tutsis and politically moderate Hutus dead. Of course, one of the most unfortunate aspects of this story is that the distinction of “Hutu” and “Tutsi” is believed to be primarily a socio-economic divide which was exacerbated into an ethnicity, partly through the European colonization system attempting to rule indirectly through the wealthy, cattle owning “Tutsis” which made up between 15-20% of the population of both countries. However, the struggles in Burundi are vastly more complicated than that of Rwanda, although they incorporate the exact same groups and actors. “During the years [1970s and 1980]… a succession of military dictators ruled Burundi. All belonged to a group called the Tutsi-Hima. Records from the era show that in all of Burundi there were only a few dozen secondary schools and one university, and that Tutsis occupied the majority of places in them.” (page 86) In fact, the Tutsis in Burundi controlled more than just the government and the education system; they also wielded tight control over the military. 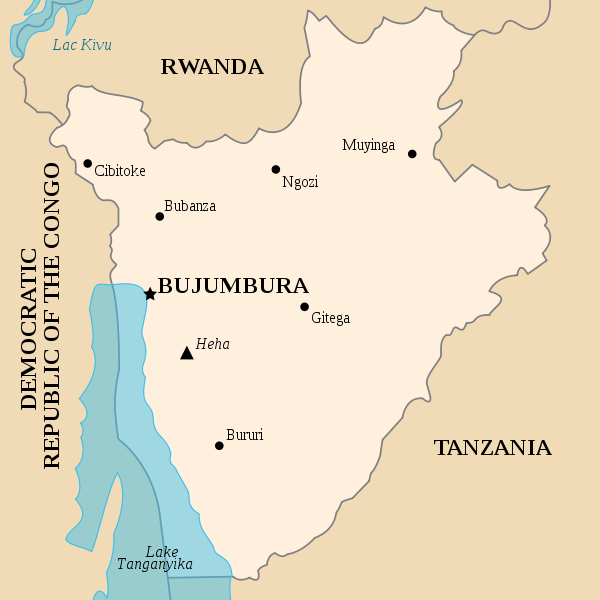 Throughout its early nationhood, Burundi developed a systematic cycle of bloody Hutu rebellion against the government that was returned by an even bloodier repression by the Burundian army. The ultimate result was fear and mistrust of one’s neighbors with hundreds of thousands of people dying. 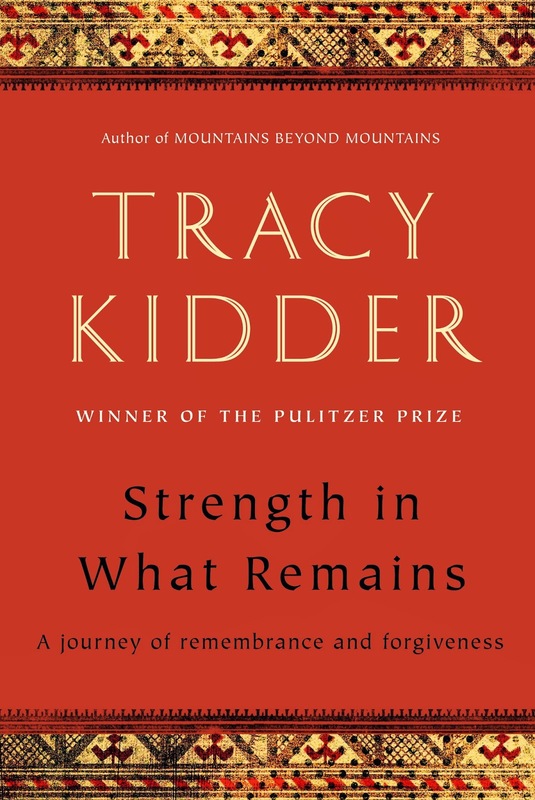 This particular book tells the story of Deogratias Niyizonkiza, as told by the Pulitzer Prize winning Tracy Kidder. Deogratias, or Deo, was born a Tutsi in a rural area of Burundi. Through hard work, a bit of luck, and the “right” ethnicity on his side, he was accepted into the medical university in Burundi’s capital city of Bujumbura. His childhood and his studies were riddled with the theme of ethnic violence, despite the fact that “…by the time Deo was born, the Tutsi-dominated government had decided its own purposes were best served by silence on the issue of ethnicity. Among other things, they had done away with the Belgian practice of putting ‘Hutu’ or ‘Tutsi’ on citizens’ identity cards.” (page 89) The silent, but systematic, discrimination led to a violent Hutu uprising in 1988. In 1993, the first democratic elections were held and, unsurprisingly with an 85% Hutu majority, Hutu Melchior Ndadaye was elected as President. His assassination later that year led to widespread chaos and widespread killings of Tutsi by Hutus. Deo was working at a rural hospital as a medical student when the systematic violence against the Tutsi first erupted. Barely escaping the hospital with his life and being called a “cockroach” due to his ethnicity, he trekked by foot to reach (what he believed to be the safe haven of) Rwanda, only to discover that Tutsis were being massacred there as well. As the Tutsi Burundian army tried to reassert control, they drove thousands of young Hutus into Rwanda, who were then recruited into the Rwandan death squads of the Interhamwe to massacre Rwandan Tutsis. Returning back to Burundi, he was able to surreptitiously get a visa to enter the United States. Needless to say, he arrived in New York with no English ability (as the colonial language of Burundi was French), $200 to his name, and absolutely no contacts. Living in crack houses and even homeless in Central Park, he met a Catholic nun who took interest in him. Through a vast network of kindness, he found himself living in a comfortable apartment of an elderly couple free of charge and the recipient of legal and medical care. However, he did not take this for granted. He soon enrolled himself in English classes and later at Columbia University, before getting an additional degree from the Harvard School of Public Health. Working for Partners in Health, he launched its initiatives into impoverished Burundi once a certain degree of stability was achieved. He now runs a non-profit of his own called Village Health Works. This is a beautiful book, which effortlessly combines the history of the tiny (and often forgotten) country of Burundi with the story of a remarkable and inspiring man. The book delves into a vast array of different subjects – from Christian charity to human nature; from the lack of proper medical care to racism through education. Although I read it to learn more about Burundi, I found myself constantly reevaluating myself, my motives, and my ideas about the world.